Samsung will launch its flagship smartphone - Galaxy S4 - In India on April 26. The launch is part of the global rollout of the device. It will go on sale in other markets like the US and some European countries on the same day. For now, Samsung hasn't revealed any India price but the phone is expected to cost a little more than Rs 40,000. Samsung has two versions of Galaxy S4 - one powered by a Qualcomm S600 processor and another powered by Samsung's 8-core Exynos processor. In India, the Korean company is expected to launch the Exynos model. Galaxy S4, which is powered by Android operating system, is the successor to Galaxy S III. Samsung hopes to sell around 10 million units of its top smartphone within one month of launch. In India, the company is the top smartphone vendor. According to CyberMedia Research, Samsung had a share of 43% in Indian smartphone market at the end of 2012. Currently, Samsung and Apple are fighting a bitter war in Indian market. Last year Apple bolstered its operations in India. This year it has launched several aggressive schemes, including price cuts on older models of iPhones, to increase sale of its smartphones. Samsung has responded by introducing its own schemes, including cash back and zero interest EMIs for several models of Galaxy phones. 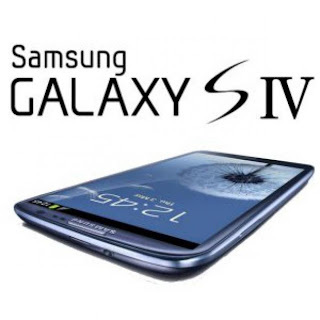 The Korean company hopes Galaxy S4 will help it stay ahead of Apple as a new iPhone is not expected to launch anytime soon. When it hits the market, Galaxy S4 will also compete against HTC One, a phone that has garnered much praise among technology reviewers for its design, camera performance and a few unique features like Zoe. HTC One has been priced at Rs 42,990. It will be available in Indian market by the end of this month.